Type SSG Single Shaft Shredder | Nippon Prog Co. The single shaft shredder shreds the materials by pressing them against the rotor with hydraulic pressure. 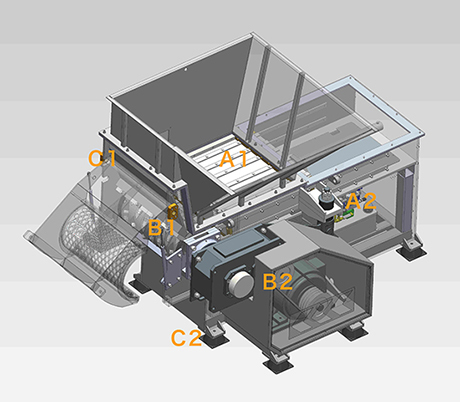 The fineness of the shredded materials can be adjusted by choosing the screen of your choice. The materials that can be shredded include waste plastics, construction waste, scrap textile, scrap paper, and rubber. 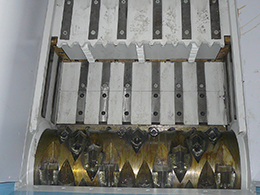 The hydraulic pusher holds down materials against the rotor allowing for a stable and effective processing of objects of various shapes and materials.